As December approaches, temperatures are starting to drop all across Texas. That means it’s time to turn on the heat. Running the heat comes with a price, though—literally. You need it to stay warm, but surely there’s something you can do to keep your bills down. The answer is yes, there’s plenty you can do. Something as simple as turning off the lights when you’re not using them can help you save on energy bills. So can lowering the blinds and curtains over your windows, and reversing the direction of ceiling fans to push heat down, away from the ceiling. But if you’ve tried a range of other great tips like these, there’s still something else to consider: Llumar window film. Using Llumar’s special window film can help you save anywhere from 5 to 15% on your energy costs every year. That goes for the hottest months of the summer just as easily as it does for the coldest months of winter. Llumar is one of the many products we offer at our Georgetown and Manor locations. 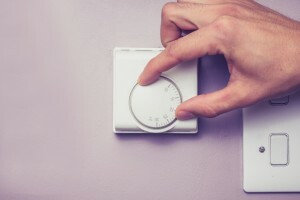 Using it can help you save money on what you spend on heating and cooling every year. Do you want to talk to someone about Llumar window film and how it can help you? Our two locations serve customers from Round Rock, Leander, Cedar Park, Marble Falls, and surrounding communities near Austin and San Antonio.